How long did 1 purchase last? : Around 2-3 months. A gentle, natural all-vegetable bar soap made the old-fashioned way. 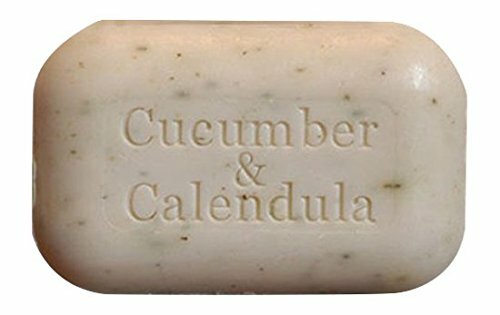 It provides mild cleansing with cucumber ground on-site (including peel) and calendula, which is high in flavonoids. It acts as a cleanser and toner ideal for skin that is irritated from inflammation. It is gentle enough to be used for cleaning minor skin abrasions.